Professor Stephen Hawking dedicated much of his career to unravelling the mysteries of black holes, and now the final chapter of his research on the “information paradox” is online. Days before his death in March, aged 76, the renowned physicist and cosmologist completed work with colleagues at Cambridge and Harvard universities on a theory of what happens to the information in objects that fall into black holes. Malcolm Perry, a professor of theoretical physics at the University of Cambridge and a co-author on the paper, Black Hole Entropy and Soft Hair, said in the Guardian that the information paradox was “at the centre of Hawking’s life” for more than 40 years. Building on the foundations laid by Albert Einstein in his groundbreaking theory of relativity, Hawking used quantum theory to contend that in the cold depths of space black holes emit heat and slowly contract until they no longer exist. Hawking’s theory suggested that the information in objects entering a black hole would disappear and be lost forever. This contradicted a basic law of quantum mechanics, which demands that information relating to an object is never lost, and gave rise to “the information paradox”. The new research explains how at least some information could be preserved once a black hole disappears. As an object enters a black hole, the temperature increases and raises the entropy level – a measure of an object’s internal disorder. A sheen of photons surrounding a black hole’s event horizon – the point at which light cannot escape the extreme gravitational pull – may record the hole’s entropy. The research centres on how the protons, known as “soft hair”, store information associated with entropy. The paper represents a step towards solving the information paradox, but there is still work to be done. Physicists must now determine how information associated with entropy is stored in soft hair and how the information escapes a black hole when it evaporates. “Understanding the microscopic origin of this entropy – what are the underlying quantum states that the entropy counts? – has been one of the great challenges of the last 40 years,” Marika Taylor, professor of theoretical physics at Southampton University in the UK, who studied under Hawking, told the Guardian. Could dark matter have killed the dinosaurs? 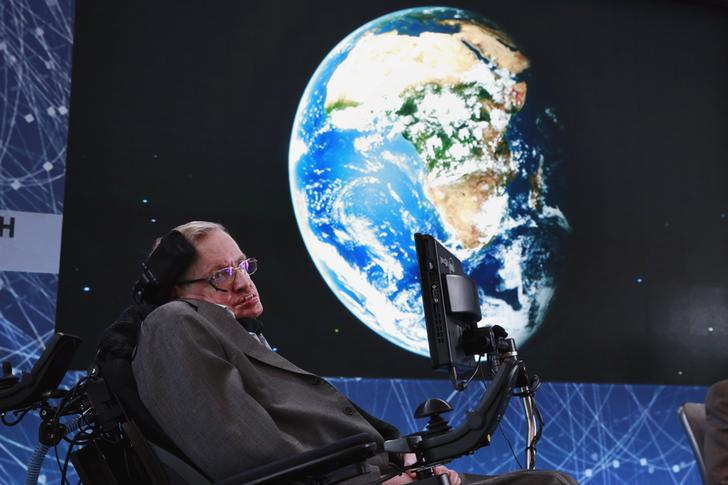 Hawking found fame with the release of his 1988 bestseller A Brief History of Time, which made complex topics such as the big bang and black holes accessible. However, long before he caught the attention of the public, he had been celebrated by the scientific community for his contributions to their understanding of the universe. Aged 21, he was diagnosed with motor neurone disease, or amyotrophic lateral sclerosis (ALS), and given just two years to live. He confounded the prognosis, with a life and career spanning many decades, although the degenerative condition severely impacted his life. Following undergraduate studies at the University of Oxford, the young scientist moved to Cambridge where he lived until his death on 14 March 2018.